If you are looking for beautiful white sandy beaches & an all-inclusive experience with a real colonial feel, you will find Hotel MemoriesTrinidad del Mar a good choice. 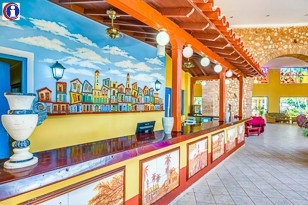 Memories Trinidad del Mar is not far from the historic sugar centre of Trinidad & the hotel’s colourful buildings have been designed in the style of an old colonial town, right down to the clock tower. The hotel is enviably placed on the stunning Ancon beach, where guests are provided with a good range of watersports. 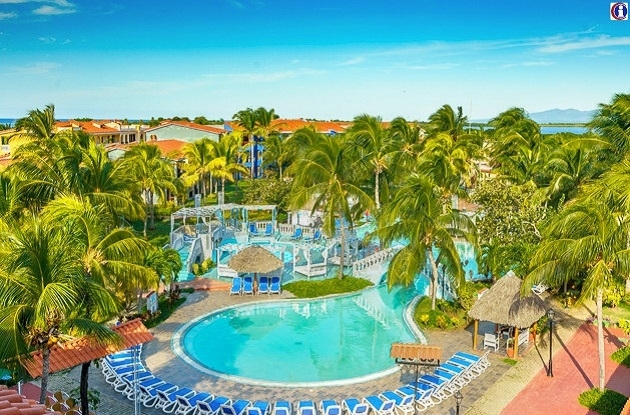 Trinidad del Mar hotel also has a great range of activities around the hotel with a large winding pool, gym & tennis courts, while guests can also hire bicycles. 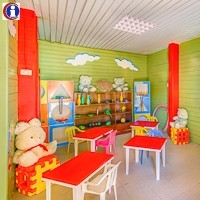 This hotel is great for families &, in addition to the separate pool, there is a children’s club with daily activities to keep them entertained. 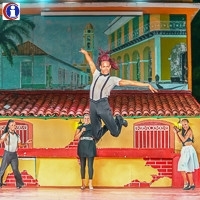 Memories Trinidad del Mar also provides entertaining cabaret shows &, for the more adventurous, the vibrant nightlife of Trinidad is just 20 minutes away by taxi. 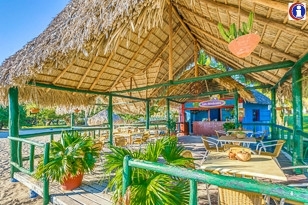 Hotel Trinidad del Mar has 3 good bars & 2 a la carte restaurants serving Cuban & international cuisine, though the food in its buffet restaurant can sometimes be served cool. However, there is great choice & plenty of healthy options. The snack bar also serves great coffees. 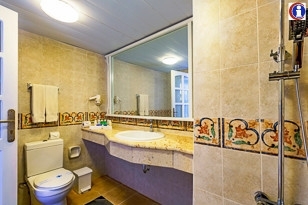 Memories Trinidad del Mar will meet your needs whether you want a relaxing all-inclusive holiday on the beach or a good base for exploring Trinidad & the beautiful surrounding area. 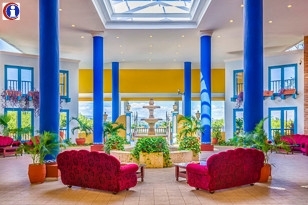 Until November 2018, the hotel was known as Brisas Trinidad del Mar and managed by the Cuban Hotel brand Cubanacan. 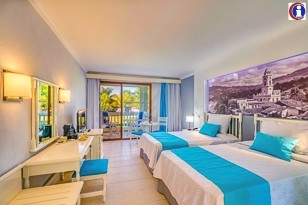 Trinidad del Mar hotel has 229 double rooms which are all ensuite & of a comfortable size. The style is warm & colourful though in a more understated way than the exterior décor. The furnishings in some can feel a little worn but all rooms are kept spotlessly clean & are well equipped with air conditioning, satellite TV, safe & outside chairs for enjoying great views. If you are looking for extra comfort & space, upgrade to one of Trinidad del Mar’s 9 junior suites. If you want to enjoy great ocean views & the sunsets over Playa Ancon, you should book an ocean view room. Playa Ancon, 12km south of Trinidad, got its name from a black rock on Punta Maria Aguilar that one served as landmark for sailors. Because it seemed to resemble the leg of a horse, it was nicknamed ancona (hind leg). Over the centuries, ocean currents have built up 4km of soft, white beach here, and a few hundred meters offshore is an excellent reef for snorkeling and scuba diving. Since the late 1980s, Playa Ancon has been developed for international tourism and now hosts several large hotels facing the warm Caribbean. Many visitors arrive on package tours and stay at one of these resorts. Playa Ancon makesan ideal base from which to explore the architectural treasures of nearby Trinidad and the forested Sierra del Escambray. Not as overwhelmed by tourism as Varadero or Guardalavaca, it's a good choice for a Cuban holiday.